Franklin Police continue to investigate the extremely violent, rollover crash that seriously injured an I-65 driver this morning. 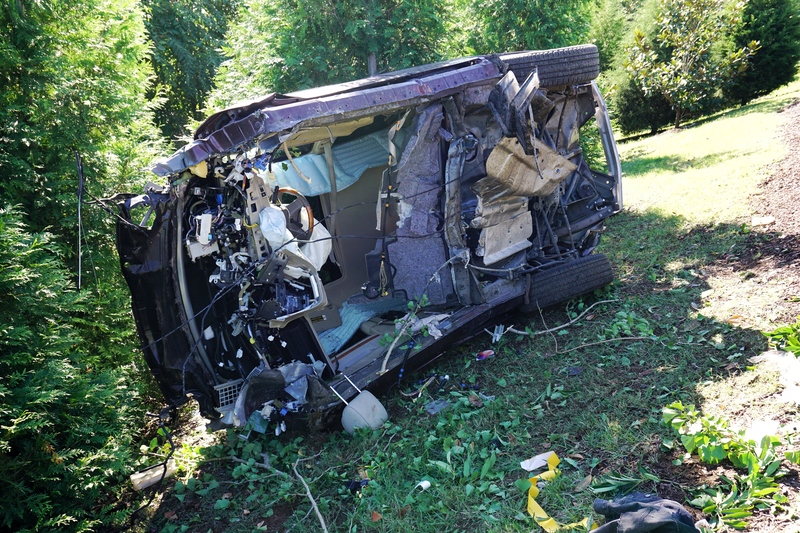 At 09:15 am, the 18-year-old female driver was exiting I-65 S at an extremely high rate of speed. She lost control of her Lexus SUV, barreling across two westbound lanes and five eastbound lanes of traffic, and jumping two medians before careening down the onramp embankment adjacent to the Drury Plaza Hotel. 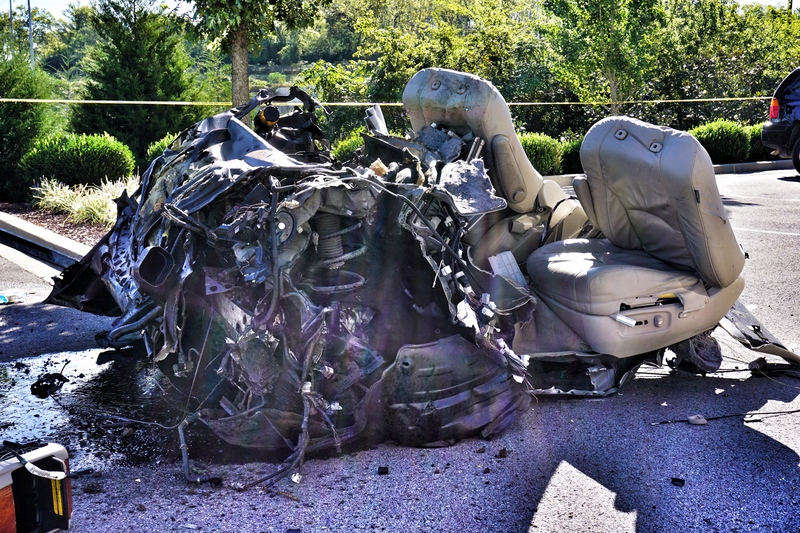 The impact between the vehicle and ground at the bottom of the embankment was so great that the two front seats, center console, and engine dislodged from the rest of the vehicle, and landed 80 feet away in the hotel parking lot. The driver, an 18-year-old Brentwood female, was found unconscious in the tree line. She was transported to Vanderbilt University Medical Center where she is listed in critical condition. Unbelievably, no one else was hurt. Investigators are working to determine if alcohol may have been a factor in this crash.